I don't read as nearly enough as I should, a fact that brings me a lot of shame. When I was a kid, I devoured books. I would fake injuries and illnesses in gym class so I could sit out and read - playing kickball was not worth the public embarrassment. One summer, we didn't have cable, so I would spend almost every day at the library. Granted, this was the summer before ninth grade, and I was still hooked on Degrassi. So I would take my laptop to the library to use the internet access and stream the episodes I missed. But when I got my fix of Eli and Clare drama and scrolled through Tumblr long enough to make my eyes tired, I shut my laptop and wandered through the shelves. I read like I was starving. One by one, I'd finish off books front to back. I ordered books from different libraries in the county, and my eyes lit up when the librarian at the front desk handed me my latest request wrapped in a rubber band. The Book Thief, Ham on Rye, The Glass Castle, The Bell Jar. My nightstand became a temporary home to the books, their different colored spines facing me when I slept. "It’s very likely that teen-agers, attached to screens of one sort or another, read more words than they ever have in the past. But they often read scraps, excerpts, articles, parts of articles, messages, pieces of information from everywhere and from nowhere." "Making the case that serious reading is one of life’s great boons—that screen-bound kids are in danger of missing something tremendous—has become awkward, square-headed, emotionally difficult. The plea for beauty and moral complexity may sound merely plaintive." I don't have to tell you twice about how we spend more time looking at our screens than the people, places, or things in front of us. My reading habits have dwindled. But the most startling thing of all is how my desire to read has worn off. The girl who read American Girl books in the bleachers at summer camp would be horrified to hear this. Don't get me wrong - I love books.I love the feeling of holding a book in my hand, dog-earring the pages to mark my place, and even the smell of the pages. They're wonderful and have always been a constant in my life - a privilege that I haven't taken full advantage of over the years. Most people my age don't like reading because they probably base their experience with books on high school English classes - being forced to read a book and writing an analytical paper on it, sitting through class while the teacher exhaustively explains the metaphors in each chapter. And this isn't a positive association to have with reading, regardless of the fact if English was and is your favorite subject. Not to mention as we get older, we get pickier. I've found myself to be extremely selective now when it comes to the books I read. But I can only read so many contemporary essay collections and memoirs - which is why I want to branch out. It's easy to say that we're too busy to read during the school year or during the week, considering everything else we may have going on in our lives - class, work, homework, friends, family, relationships, hobbies, etc. I can't make the "too busy" excuse now, though, even though this summer is going to be time-consuming for me. But in the hours before I go to sleep, what could I be doing instead of sitting on my laptop watching episodes of Parks and Recreation or John Mulaney standup that I've already watched dozens of times? What could I be doing instead of lying in bed scrolling through Instagram and Pinterest? I could be reading. With writers, if we read more, we become better writers. 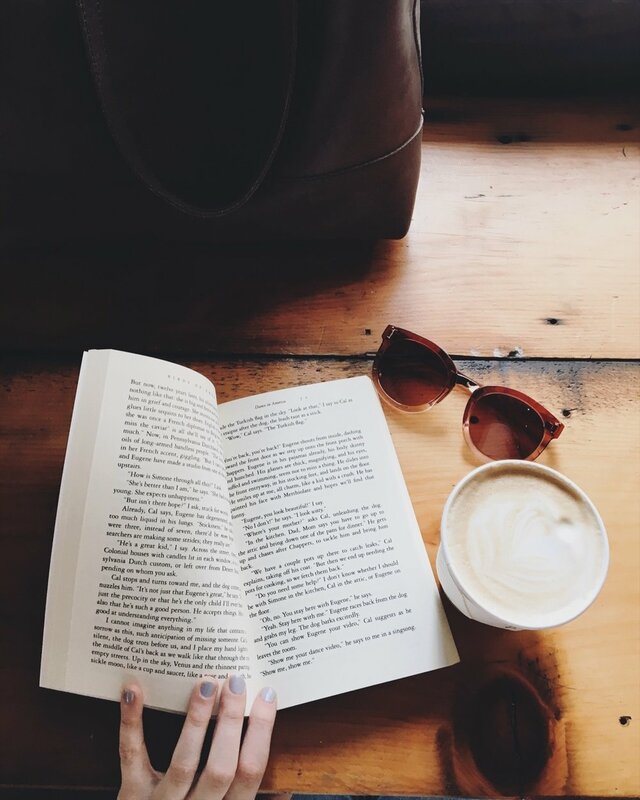 But I think that if we all read more, we become better people - after reading something we walk away with a little bit of knowledge we didn't have before. When we finish a book we're able to come back to reality and feel differently - books teach us more about ourselves, and leave an impact in some way or another. And the only way to find out how a story or piece of writing can make you feel is to experience it for yourself. So in order to have a more lit(erate) summer, I'm going to be more mindful of my free time. I'm going to read titles that I never would have given a chance before. I'm going to rediscover the joy of reading - it's there, waiting for me on a page that I have yet to touch. Make the conscious effort to unplug this summer. Compose a list of books you've always wanted to read, and get started. You never know what could be waiting for you.